As you finalize your home construction, you need to make sure that the roofing is done the right way. The roofing materials for hut-shaped homes come in a number of grades and corresponding prices. The decision regarding the type of roofing is done while keeping your budget and requirements in view. There are mainly three types of roofing used in modern house construction in Pakistan these days. The guide below will aid you know more about each type of roofing so you can pick choose the right style for your new home. For hut-shaped homes, the most popular choice of roofing is asphalt shingles. Asphalt shingles are made of fiberglass that are sandwiched between the ceramic granules and the asphalt. This type of floor covering is usually lightweight and therefore easier to install. The unique selling proposition of asphalt shingles is the stylish finish and economical price. The laminated shingles also known as dimensional or architectural shingles is one of the two types of asphalt roofing that can be purchased from the market. This roofing type is layered and its thickness and depth makes it look more stylish and detail oriented. As the name implies, the fake slate roofing shingles is not real but faux. The fake slate roofing shingles weighs about the same as asphalt. It is made of a variety of compositions that includes rubber, asphalt, plastic, polymer or clay. The difference between the faux slate and real slate is that faux slate is slightly slipperier than the real slate. 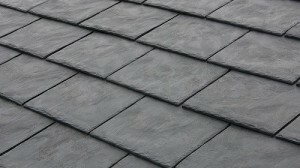 Furthermore, the fake slate roofing doesn’t require you to beef up the roof structure because of its sufficient weight. There are different types of metal roofing available in the modern day, however, the most common are aluminum, alloy, copper and steel strips. The metal roofing is available in a variety of shapes and textures to match different requirements and preferences. Out of all types of metal roofing, the copper roofing is the most expensive. 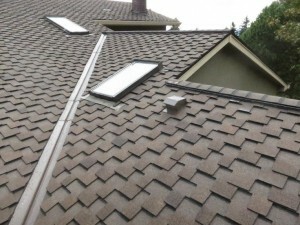 The metal roofing doesn’t burn, but could be noisy during the rainstorm or hailing. While you choose the metal roofing, make sure to pick a thicker and stronger material to ensure that it doesn’t get dented easily. 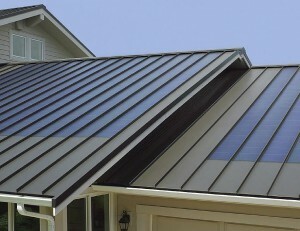 One of the biggest advantages of metal roofing is it reflects sunlight and keeps the home cooler during the summers. To keep things cool during summers and ensure energy efficiency, today numerous architects are considering metal roofing in modern building construction in Pakistan.